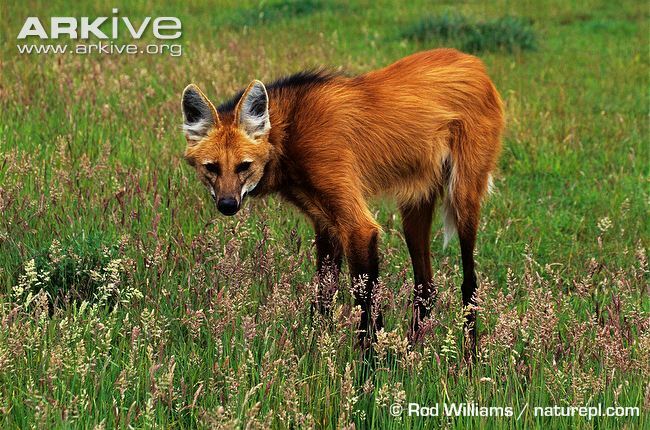 Down in South America lives the maned wolf, and like the last OAP, it’s name is a little deceiving. The maned wolf is related to wolves, but only very distantly, it is actually much more closely related to the fox, even then it is the only animal in its genus. 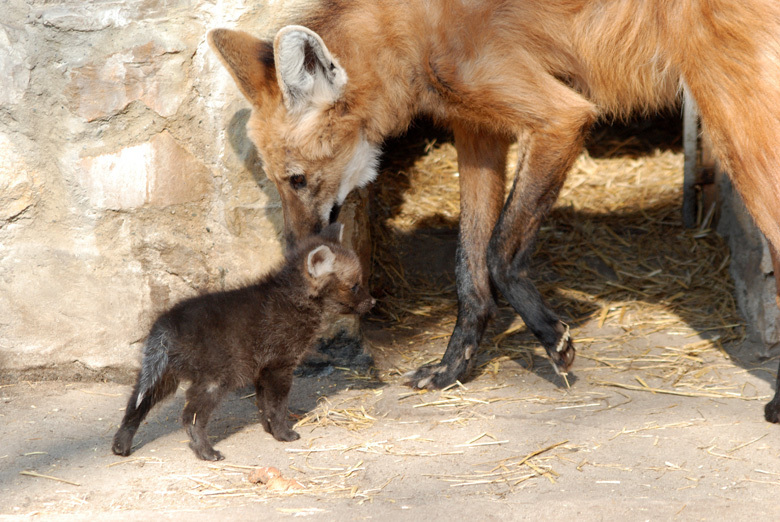 The maned wolf is an odd animal because of its odd appearance of a fox on stilts, and its unique temperament. The maned wolf is both monogamous and solitary, the males and females come together to mate once a year, and although a pair will share a territory, they will travel separately for most of the year. The maned wold lives in the grass lands and open forests of Bolivia, Paraguay, Brazil and Argentina. The maned wolf lives its life at the top of the food chain, with no natural predators except for humans. It suffers a similar plight to the elephant and rhino and is often hunted for body parts which are thought to have magical, or medicinal properties, of course this has no standing with medical science, but there are many tribes that inhabit South America that have had little, if at all any communication with the modernized world. But I doubt that it is these sparse huntings that have brought the maned wolf’s numbers down to only 2,000 individuals, instead I blame the rampant habitat distraction as humans venture deeper and deeper into the maned wolf’s habitat. The maned wolf stands about 3 feet tall at the shoulders and weighs approximately 50 lbs. It tends to be reddish brown in color with a white tufted tail and ears. It’s cubs are dark brown to black in color. The maned wolf has a very distinctive bark-roar that it lets out to establish its territory. They are smell a lot like skunks. There are many zoos and facilities in the US that are working with educating the public about maned wolves and also have SSP’s (species survival plans) and breeding programs with the maned wolf. 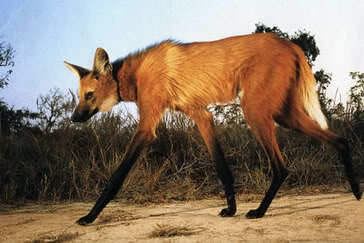 First I thought it looked more like a fox so why is it called maned wolf ? Well, it’s more closely related to the fox but in its own genus. Wolf is just a name! It’s carnivorous and dog like, so early western explorers probably thought it was the same thing as a northern wolf! It’s all in the post!